This beautiful moment was not planned or posed at all. 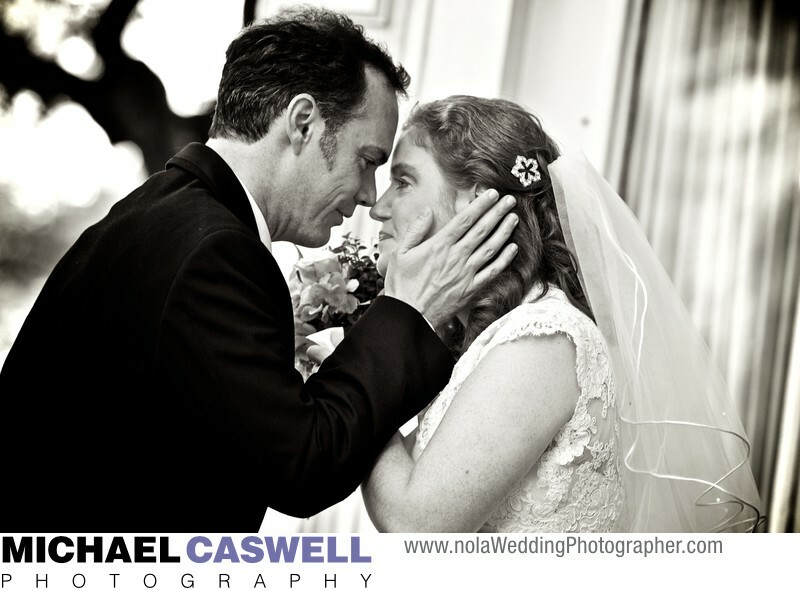 Immediately after the conclusion of their emotional wedding ceremony at The Elms Mansion in New Orleans, the newly married bride and groom spent a few moments alone where they quietly reflected on their love for each other and the commitment they had just made, while I discretely captured the moment from afar. This was one of those moments where I was praying that no well-meaning guest would call out to the couple, "look at the photographer, he's trying to take your picture! ", which of course would have completely ruined this image. Even though the intentions are good, I rarely desire that the subjects I'm trying to photograph, especially during a special moment like this, stop what they are doing to turn and look at me with a smile, as I'd much prefer to capture their natural interactions with each other.